The U.S. House of Representatives voted 280-89 Wednesday in favor of exempting the Delta Queen from the 1966 Safety of Life at Seas Act, which puts the historic boat one mark closer to plying the rivers again. "Needless to say, we're thrilled," said Cornel Martin, president and CEO of DQSC Inc., who attended Wednesday's House debate with current Delta Queen operators Leah Ann and Randy Ingram. They are hoping to return the boat to service as a floating hotel. Wednesday afternoon, Rep. Steve Chabot, R-Ohio, and a host of Queen backers faced down opposition on the House floor. 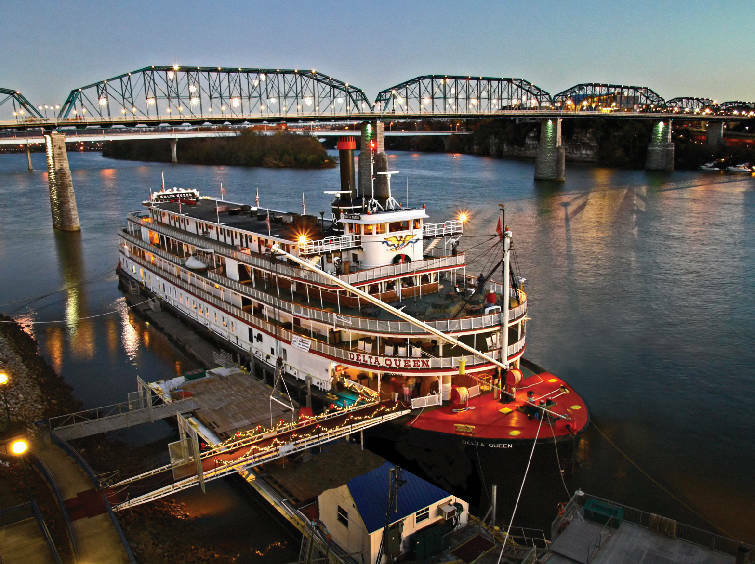 Chabot remembers the Delta Queen from when its home port was his boyhood home of Cincinnati. He said it never should have been caught in the Safety of Life at Seas Act. The act bars any vessel constructed primarily of flammable material from carrying 50 or more passengers overnight on domestic U.S. waters. The Delta Queen can carry nearly 180 passengers. Its hull is steel, but the rest of the structure is wood. The Queen received congressional exemptions from the law nine consecutive times between 1966 and 2008. Chabot said the act was targeted at oceangoing vessels but the bill's wording allowed riverboats to be snagged. "In this case, we're talking about never more than one mile [from land]. That's what makes the Delta Queen different," he said. Leading opposition to the exemption was Rep. Elijah Cummings, D-Maryland, who cited passenger safety. "Exempting the Delta Queen from ... fire safety standards would present an unacceptable and frankly, unnecessary, risk to passenger safety," he said. Chabot responded that "safety must always be a top priority." He called attacks on the Queen's sprinkler system and doubts about passenger safety "red herrings, really." Chabot has been a supporter of the Delta Queen since 2008, when its most recent exemption expired. He lost that battle and lost re-election to the House himself, his communications director, Brian Griffith, said Thursday. But when Chabot was elected again in 2010, he went back to work on the exemption bill. Now the bill must go before the Senate and receive a simple majority vote. Then it's on to the desk of President Barack Obama -- who, incidentally, co-sponsored the 2008 Senate bill requesting exemption for the Delta Queen alongside Sen. Mitch McConnell, R-Ky., the Senate minority leader. Martin said the progress this week gives operators a little relief, even though they winced a few times in the House gallery as "blatantly false" comments were made about the boat. "That was very frustrating," Martin said. But Martin and the Ingrams plan to regroup, visit senators from the same states as Wednesday's House opposition and get back to work behind the scenes prepping the Queen for her river return. They intend to address concerns voiced during Wednesday's debate in the days leading up to the Senate vote. In the mean time, Martin said he and the Ingrams are going about finalizing the purchase of the boat from Xanterra Parks and Resorts and initializing boat restorations. "It takes a huge step down the road in getting the boat back on the river."